Dating Your Diet Special: What If Cinderella Had Swollen Feet? What If Cinderella Had Swollen Feet? Lisa Berry is sharing something special with us at Dating Your Diet. We all know the glass slipper fit. We all know that Cinderella lived happily ever after. But, what if, on that very special day when the ministers came by the house for the girls to try on the glass slipper, Cinderella’s feet were swollen? What if she stuffed her emotions down with food and hid from all her feelings of low self-worth, not fitting in, feeling depressed with her living conditions and never getting ahead in life? What if bags of potato chips, muffins, pasta and cookies were her answers? What if chocolate-covered avoidance was her go-to response? I’ll share with you what would have happened. The glass slipper would never have fit. Cinderella would have been left sitting there, in the beautiful embroidered Victorian chair, with her big, old swollen water retention foot - without a prince and happily ever after. Imagine - just for a moment - that your life-long dream, a once in a lifetime opportunity, literally came to YOU, right to your door - and you were not prepared? What if the decisions you were making and the actions you were taking were ruining your success? What if these decisions and actions were holding you back from fitting in the exact life that you’d been dreaming of and were trying to create? I remember when the word “success” was defined for me. When I heard it, everything just clicked. What does a successful life look like to you? What is your fairy tale life? 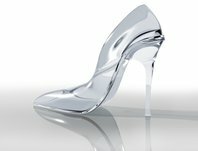 Are you prepared to slide into it like a glass slipper when it shows up? When the opportunity presents itself to you? Are you aware of the power and control you have in your very own life that puts you in the driver seat? The power and control to choose what foods you eat, what activities you participate in, what attitude you possess and what language you speak? Do you realize that it is YOU who chooses the people in your life? Are you allowing wicked step-sisters and mothers to dictate your daily activities and negative, hurtful emotions? So how does one make choices that will get her to her fairy tale life? How does one prepare so that when opportunity meets, she will have success? I call part of the process “Dating Your Diet.” Just like dating a person, getting to know him and seeing if there’s a desired chemistry, it’s important to “date” our choices, especially our food choices. To start Dating Your Diet, you must first have your Dream Diet in mind. You can’t make a wish to go to a ball and dance with a prince if you don’t know when the ball is or which prince will be there. 1. How much time do you want to spend on this relationship? Time spent on learning, planning, shopping, preparing and cooking? 2. How committed do you want to be? Will you have a 100% clean diet, or will there be some days off? 3. Have you dealt with previous food dating issues? Emotional baggage is never good to bring into a fresh, new relationship. 4. Do you have a healthy role model and support for what your Dream Diet looks like? It’s important to be educated on how to eat, as well as having support in deciding what to do when choices are difficult, or when you lose sight of your dream diet. 5. Do you know how to dump your diet when you realize that the two of you do not have the same goals in mind? The key is to question “dating a food” at different stages. Question if you are getting the nutrients you need from this particular food to achieve an amazing relationship that will support your fairy tale life. I’m sure the night that Cinderella ran home with only one glass slipper and without a prince, she looked in a few kitchen cupboards, considering comfort food. I’m sure she had the phone in her hand, wanting to order a pizza. I bet she even had a secret stash of gummies hiding beside her bed for some sugary satiety. 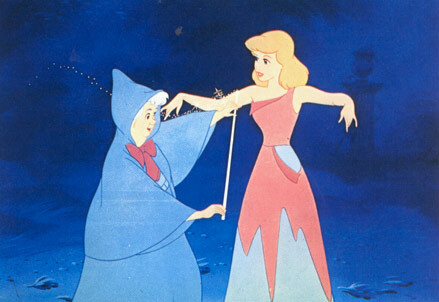 But in the end, I believe that Cinderella had dated her decisions before-hand. She had questioned which actions would give her the results she desired, and I’m pretty sure she hung onto her dream for a better life, a free life and a confident life. She was aware that by having the power to make her own choices and her own wishes, that she would create the life she wanted. So, instead of eating those harmful and smothering foods, while waking up with swollen feet, she had confidence knowing that she had “dated” the right diet. And that night, she closed her eyes, laid her head on the pillow and held on tightly to her dream of a life happily ever after. Know what your fairy tale life looks like…Know what your dream diet is…and start Dating Your Diet. Click here for more diet inspiration.